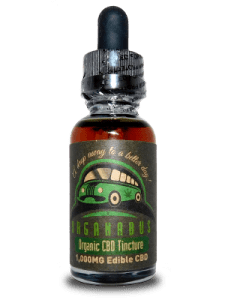 CBD Oil Review rates the Organabus brand with one star because it qualifies for the Quality Badge. 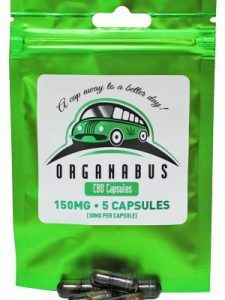 Organabus’s fun logo looks like an old school hippie wagon with the requisite cannabis leaf; they give the immediate impression of a company dedicated to good vibes. But they’re going to have to do better than old-fashioned good vibes to get our approval. Our main issue with Organabus is the ‘organic’ claims that don’t match their ingredients, and we have a couple more axes to grind with this CBD oil vendor that needs some work. We cannot speak to the Organabus mission, nor to the expertise of their team, since they do not say anything about either. What we do know is that their CBD oil comes from CO2-extracted industrial hemp. Where that hemp grows is anyone’s guess. 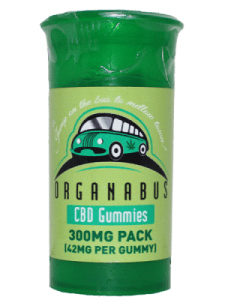 Organabus has a pretty wide selection of CBD products including typical favorites and a CBD nasal inhaler which you don’t see everyday. We know from checking their out-of-date CoAs for cannabinoid content that they use isolate, since no CBC, CBN, or CBG were detected in any of the tests. Obviously, there’s a problem here since these CoAs are from over a year ago, there aren’t any results for contaminants, nor does Organabus even mention testing for contaminants. Yikes. Edibles- With no ingredients lists, we cannot approve or disapprove of these. Our main bone to pick with Organabus is their organic claim. Their homepages states, “We are organic,” and, “Organabus products are made with quality organic ingredients.” But just a basic peek into their product line and you’ll learn this isn’t the case at all. Their “organic” CBD vape oils have natural flavors listed on their outdated QR code + product info sheet, not organic ones. According to this same document (the only thing we have to go by since the company does not even list their ingredients), the MCT oil in the “organic” tinctures is also not organic. The list goes on, but our major problem is with these two products since they are specifically marketed as organic. Bottom Line – We wish deeply that all CBD companies with good motives would get with the program and give consumers the information they need to make an informed purchase. 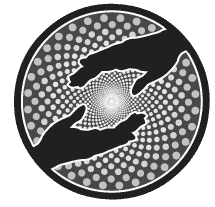 We look forward to re-reviewing Organabus as soon as they provide basic product information, laboratory test results, a clear mission statement, and any proof of participation in philanthropic endeavors. 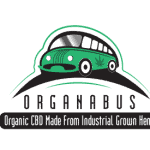 Organabus uses CO2-extracted industrial hemp in their products and all-natural ingredients in their CBD vape oil. Wow, thank you so much for this information that is highly valuable to me. I have mechanically-induced, adhesive arachnoiditis, severe insomnia from pain, mental fluxuations from emotional trauma, all resulting in a very strong desire to continue using cannibus, hemp and all the goodness from the earth to breathe life back into my mind, body, and soul. Politics, modern medicine, big pharma, and religion all have no place in my wellness, in my humble opinion. I'm determined to get better despite the all the challenges I face with these institutions. I appreciate the service you provide and would love to know your thoughts on where to buy the most cost effective terpenes for pain, inflammation, neuropathy, and insomnia. There's more, but if you can help with that, I'd be forever grateful!